Musical instruments are something many teenagers will explore, and they can have lifelong benefits; braces, likewise, are something many people will also experience. 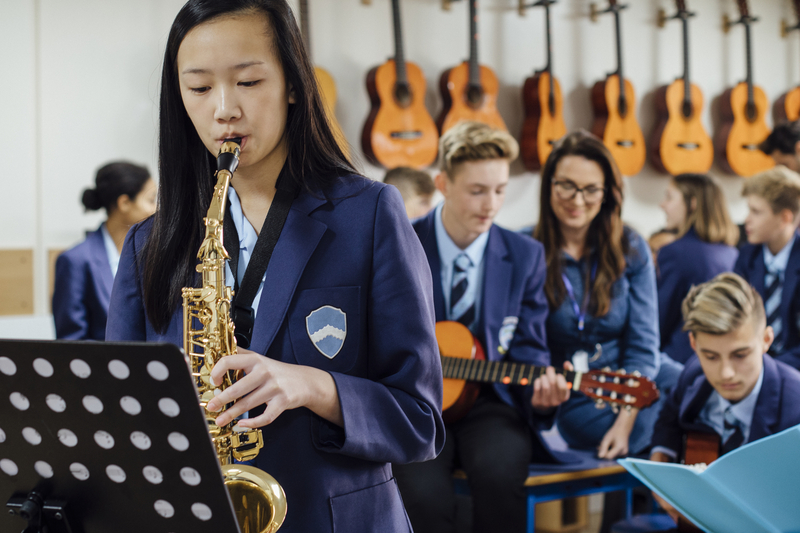 If your teen is considering picking an instrument up and joining the school band, you may be wondering if they can play if they have braces. Luckily, the answer is yes. Here are a few different considerations to keep in mind. Trumpets, trombones, and tubas are all essential parts of any band. They can be difficult for teens with braces to play, however. To create sound, they’ll need to rest a metal mouthpiece between their lips, which can often touch the braces. Instruments with smaller mouthpieces, such as trumpets, are more difficult and require more airflow. If your child is interested, encourage them to explore the tuba and larger baritone instruments with bigger mouthpieces. To avoid damaging their lips, make sure they practice in moderation and wax the braces and wires each time they play. Woodwinds, like the bassoon or saxophone, can be much easier for teens with braces to play since the braces don’t directly contact the mouthpiece. There can be some discomfort at first, however, though your teen will gradually adjust. Braces may cause them to blow more saliva onto the instrument, so make sure your teen is properly cleaning it after each use. To ensure your child doesn’t face any hindrances while playing, consider exploring invisible braces as a solution, as they aren’t as cumbersome as traditional braces. Make sure they’re always mindful of their braces when they play to ensure they don’t damage them by accident. If you or your child are ready for braces, turn to Mosling Orthodontics. Dr. Mosling has served La Crosse, WI, and the Coulee Region for over 20 years and offers a number of alignment solutions. He’s committed to creating a comfortable environment for his patients, and you can count on him and his staff working closely with you every step of the way to achieve a healthy smile. Call (608) 782-1950 to schedule a consultation, and visit their website to learn more about their practice. What Qualities Should You Look For in an Orthodontist?